As for the San Antonio Spurs, they decided to go to the Supreme Court. Coach Gregg Popovich took his team to visit the highest court in the land on Monday, their only day off in the nation’s capital all year. 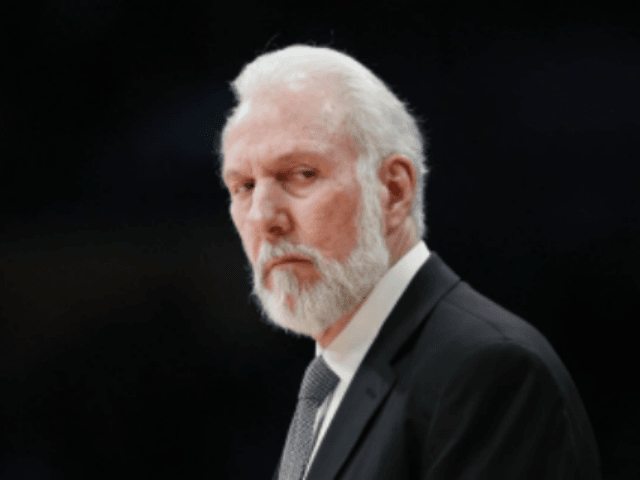 Popovich held little back when criticizing President Trump for not remaining in Washington over the weekend, to address the concerns of those at the “March For Our Lives” demonstrations. You think about it, the civil rights movement didn’t flip or change until people saw things on TV. They saw policemen with fire hoses and dogs biting old black men and women, people being beaten with sticks. Then you get to the Vietnam War, and we’re in it forever, and then what happens? Film starts coming back with arms and legs blown off and coffins, and I can still remember the little girl who was napalmed running down the road. Things change when that happens. And in this one, in this situation, these students are the same way. Images are important. Obviously you can’t put an image on TV of what happened in that classroom, that would be pretty horrifying. But if you just sit for a moment and imagine those bullets going through those bodies, and what those bodies might have looked like afterwards, how can the president of the country talk about all the things he’s going to do, and then go have lunch with the NRA and change it? It’s just cowardice. A real leader would have been in Washington D.C. this weekend, not at his penthouse at Mar-a-Lago. He would have had the decency to meet with a group, to see what’s going on, and how important it is, and how important our children should be to us. So for all those politicians involved, it’s just a dereliction of duty. They can talk about the age limit, and background checks and all that, but the real discussion is what kind of a country, what kind of a culture do we want? You go back and investigate the second amendment. What does it really mean today? What are we willing to give up for the safety of our children. The people in power don’t want to talk about that. The fact that our president left town, is a real indication of how much he really cares about anything other than feeding his insatiable ego. Popovich is no stranger to popping off about politics, of course. He is a virulent critic of Republicans and President Donald Trump, and has many times waded into discussions about contemporary politics. He also insisted that all white people need to be made “uncomfortable,” because whites are born with inherent advantages.